Lou, deliver us The Glory of Love. Roy & Lach performing My Week Beats Your Year, CCA, 2015. The influence of Lou Reed and the Velvet Underground in the UK was and is huge – and possibly far greater proportionately than in the US, where initially it seemed that anything new in popular music in the late 60s was viewed as suspect or foreign unless it came out of Tin Pan Alley or Harlem. But over here, generation after generation heard the clarion call to arms, to celebrate a wild side that, for most, could exist only in our imaginations, and vividly so. Kids in the early 70s were a select breed of converts, of which Roy Moller was one. He grew up to be a guitarist and singer-songwriter – what else? – and, as we learn from this read-through of his new musical about Lou, the spark’s still burning. 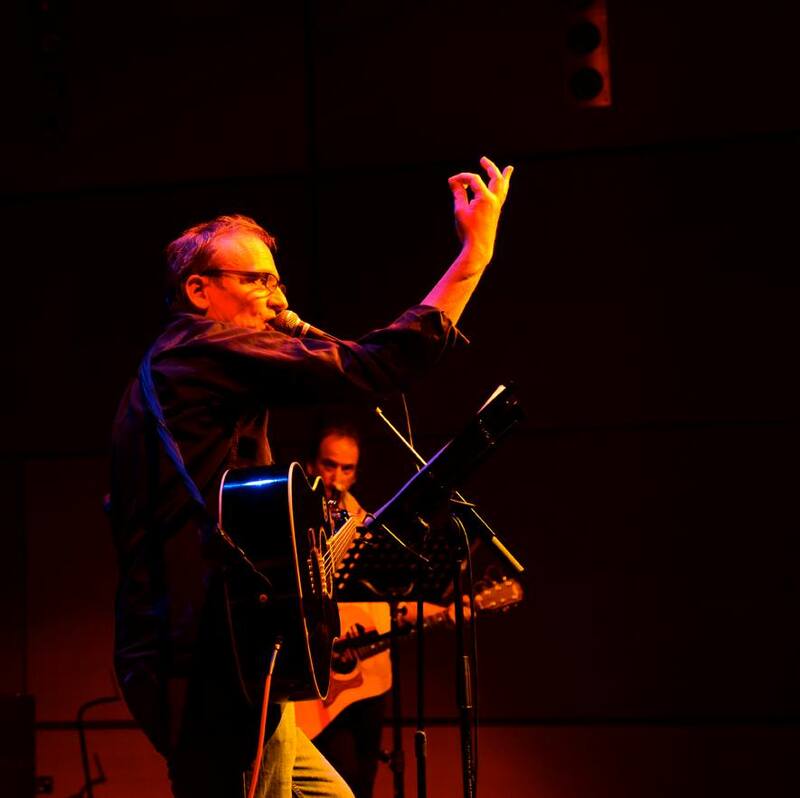 In flowing couplets Moller tells of his impassioned and frequently funny road trip of growing up in Leith, curious about the musical phenomenon happening over on the grittier side of the water. There’s the thrill of discovering Lou’s records, his UK gigs – and the strange sensation that London was far away as Manhattan – and, like something out of Herman Hesse, Moller finds a new revelation in Lou’s legacy with every step he takes in his own life. The songs themselves are catchy, alternately driving/sweet songs about Lou, Leith and Life – funny yet passionate, with unexpected turns of phrase that surprise and get you thinking. In homage to his hero, Moller even finds that majestic irony in Lou’s dark heroin days and his own nostalgia. At his side is Antifolk supremo Lach, who brings his own experience of that NYC otherworld to inspired guitar and vocal accompaniment - and a range of strange sound effects. On a couple of wonderfully laconic songs he sings lead, his clear tones making an evocative counterpoint for Moller’s gruffer vocals. There’s immense touring potential for My Week Beats Your Year, whether as an intimate song cycle or a fully fledged stage show along the lines of Taboo. Nick Awde, theatreguidelondon.co.uk. August 2014. Cult singer-songwriter and poet Roy Moller releases an intelligent and warm-hearted collection of songs examining Lou Reed’s lasting influence. 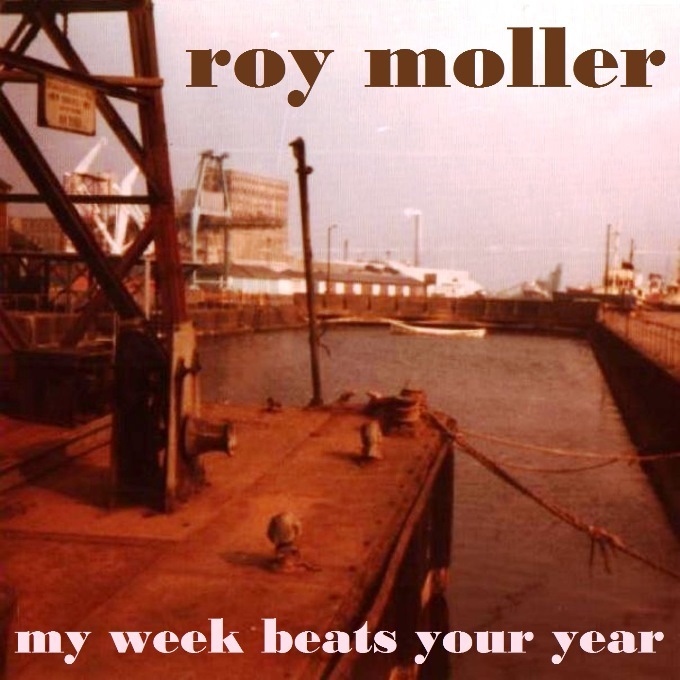 Based in Dunbar on the east coast of Scotland, Roy Moller released one of the best albums of 2014, the astonishing ‘One Domino’. That album was the perfect crystallisation of Moller’s scuzzy Outsidercore psych-pop. Naturally, it went almost unnoticed by the mainstream music press, but Louder Than War championed the album and its creator, who joined John Robb for his Anarchy chat show at the Edinburgh Festival Fringe. 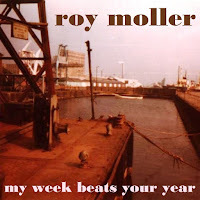 Moller also had his own Lou Reed-inspired show at the Fringe, ‘My Week Beats Your Year’, hosted by Appletree Writers. Joined on stage by legendary New York anti-folk pioneer Lach, Roy delivered a deeply moving show which examined exactly why Lou Reed means so much to every misfit and troubled soul who has ever identified with the poet laureate of outsiders everywhere. This album contains the songs from that show, recorded fast and loose in a spontaneous, playful manner. With its spunky, lo-fi feel, ‘My Week Beats Your Year’ feels like a kindred spirit to recent albums by Ty Segall, White Fence and New York Junk as well as Julian Cope’s cult classics ‘Skellington’ and ‘Droolian’. Aficionados of buffed and polished production may baulk, but ‘My Week Beats Your Year’ is a triumph of creativity over meagre financial resources, and a vitally important study of our relationship to one of the 20th Century’s greatest and most influential artists. 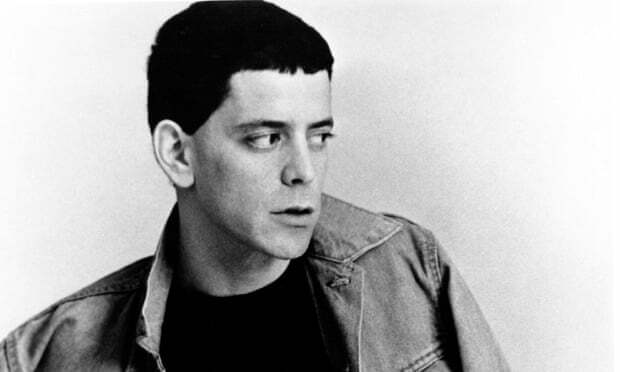 Lou Reed changed my world, your world – the whole damned world. Moller is viscerally aware of this and exposes Lou’s influence on our collective psyche with the skill, sensitivity and precision of a dedicated neurosurgeon. Album opener ‘Capital City’ introduces the teenage Roy Moller, struggling with the trials of adolescence and wistfully looking to Reed’s New York for escape and meaning: ‘When you’re growing up in a capital city, it’s a long long way from Union Square, but something makes you want to run run run there’. The song also introduces the theme of Edinburgh’s post-punk relationship to NYC, a powerful energetic connection which remains potent to this day. ‘Don’t Understand’ follows, its frantic cut-time rhythm driving Moller’s bewilderment at the brutality of Reed’s treatment by 1950s psychiatrists. Moller struggles to comprehend why Reed’s parents would “betray’ him due to their fear of his emerging homosexuality. “Oh Lou, don’t swallow your tongue, swing the way you’ve always swung” Moller consoles, “we won’t let go your hand”. The tenderness and humanity of the song recalls Reed’s ‘Halloween Parade’, his beautifully rendered reflection on the devastation inflicted on New York’s gay community by AIDS in the 1980s. ‘Electrify Me’ details Moller’s purchase and first listen of ‘The Banana Album’, the name by which many Velvets fans of a certain age will always know ‘The Velvet Underground and Nico’. Still wide-eyed at the memory all these years later, Moller marvels that “It seems to run on gnarled electricity, siphoned off rickety 1920s projectors flickering in and out of the ether”. Moller delves further into his own seduction by Reed’s demi-monde on ‘Hello Lou’. Pinning one of the key innovations Reed brought from his literature background, Moller quips “Don’t let detachment scare ya, it doesn’t mean you’re insincere, this is a rock ‘n’ roll catchment area, Syracuse and the Coney Island pier”. With gutter junk guitars spewing white noise, Moller wistfully concludes “And I wish that it was me…”. Riding a loping T-Rex groove,’Stranger Things’ asks “can you separate the art from the life of Lewis Allan Reed, without the use of a knife?” Moller isn’t interested in doing so here; in the manner of Yukio Mishima’s aphorism, Reed made his life “a line of poetry with a splash of blood”. The possibility of reinvention is open to us all, a fact that clearly stirred the youthful Roy Moller. ‘Reality’ kicks in with a sweet jazz swing as Moller recalls the Velvets reunion performance in Edinburgh: “Somebody remembering- Robert from The Scars- shouts ‘It’s Nico’s town’ at the Velvet New York Stars”. Once again, Moller underscores Edinburgh’s Velvet love affair with an affectionate doffing of the cap to one of the city’s greatest post-punk bands and its adopted femme narcotique daughter. On the title track, Moller returns to his adolescent attempts at Velvets-inspired decadence, recalling “Smoking some grass, it’s not really drugs, the girls I’m in love with just want brotherly hugs”, before concluding that “It’s abundantly clear that anyone’s week beats my year”. As a summary of a commonly painful stage in life, it’s all too familiar to many of us. Repeated listens reveal subtle musical and lyrical allusions to Reed and the Velvets, skilfully threaded through every song. Moller weaves these references in with much humour and poignancy, adding further warmth and resonance to the songs, rather than over-burdening them. Reed’s conflicted sexuality is central to ‘My Week Beats Your Year’, a title lifted from the sleeve-notes of Lou’s notorious 1975 release ‘Metal Machine Music’, referring to the rock ‘n’ roll animal’s notorious methamphetamine habit. How many other 70s rock stars would have had the sheer balls to lavish the sleeve of their first “Best of” album with polaroids of themself blissfully entwined with their transgender lover? Reed’s proudly provocative display of his Queer identity turned the rock world on its head and redefined established notions of cool and subversion. Throughout the album, Moller’s electric guitar-playing is let off the leash, further exploring the spiky post-punk thrills of ‘One Domino’, taking in wrenching Johnny Thunders licks and all manner of Reedisms, from feral skronk to subtle country-jazz licks. Moller’s baritone croon resembles that of Iggy Pop circa ‘The Idiot’, with inflections of Alex Chilton, Ray Davies and the album’s hero. In dreams begin responsibilities, and Moller has taken to heart the lessons and opportunities that Lou imparted to us. The plain truth is that this snappy 27 minute album is a more thorough, heartfelt examination of Lou Reed’s impact on us as human beings than a landfill site of Victor Bockris biographies. Despite its playfulness and wry humour, ‘My Week Beats Your Year’ is a vital, important work that keeps alight the flickering flame of Reed’s intelligent vision.